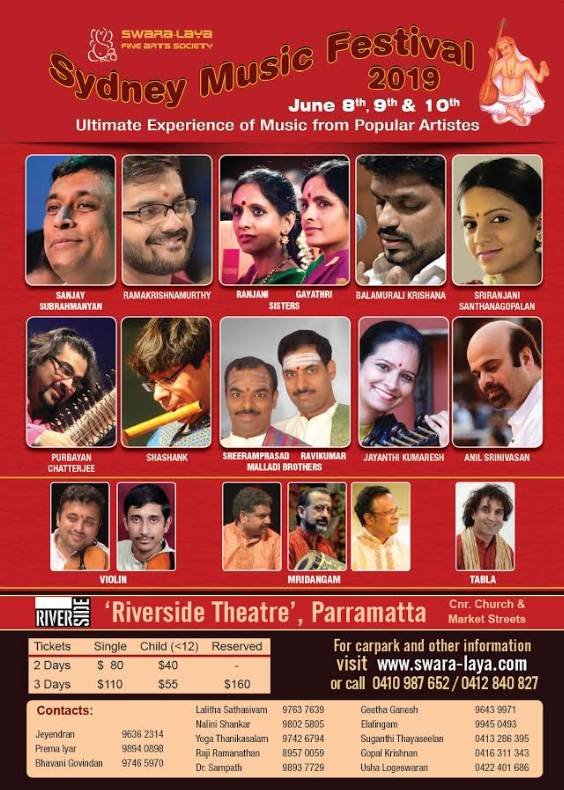 Swaya -Laya Fine Arts Society invites you to the 13th annual Sydney Music Festival for 2019 to be held on the 8th, 9th & 10th of June (Queen’s Birthday Weekend) at the Riverside Theatre, Parramatta Cnr of Church St and Market St. This year an amazing lineup of concerts include a range of artists from the well sought after and established to upcoming young vocal talents that are paving the way of gen next. 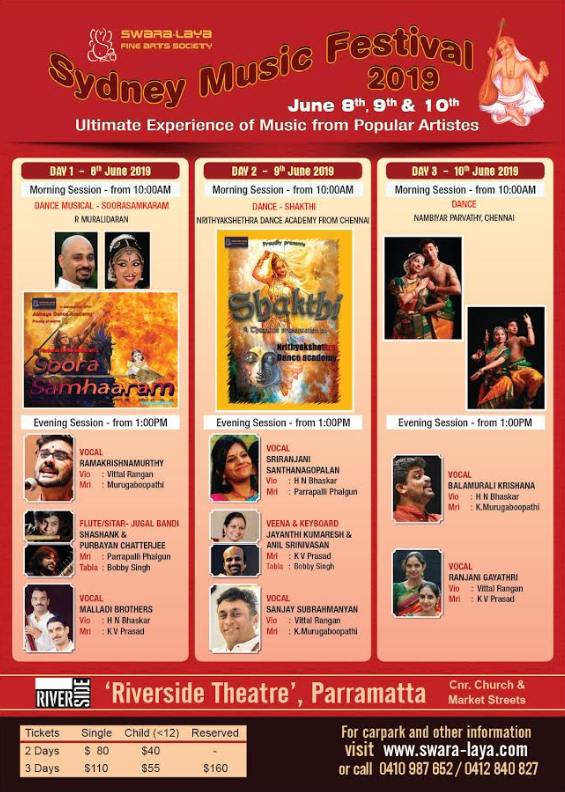 Dynamic instrumental combinations, veteran stalwarts and brilliant dance productions also in plenty across the three days for those rasikas who love instrumental music and dance productions.